Added by Bill Bowman on October 19, 2018. Mayor Phil Kramer and U.S. Rep. Bonnie Watson Coleman share a laugh while Michael Kerwin, president of the Somerset County Business Partnership, looks on at the Ferrero groundbreaking Oct, 18. As many as 100 new jobs will come to the township as a result of a planned expansion at Ferrero USA on Cottontail Lane. The expansion, which will bring the company’s packaging and warehousing facility to 67,000 square feet, was commemorated Oct. 18 with a groundbreaking attended by company officials and township, county and federal dignitaries. The expansion should be completed by next summer, said Dan Degiovanni, operations manager. The $9 million expansion was spurred by the success of the company’s Kinder Joy egg candy, which contains chocolate and a hidden toy, said Paul Chibe, president and CEO of Ferrero North America. That follows $12 million Ferrero poured into the Somerset facility prior to the Kinder Joy launch, he said. “As we continued to grow, our confidence in doing business in New Jersey grew as well, which is why we enhanced our presence in the state with our new North American headquarters (in Parsippany) and continued future expansion at out Parsippany office and here in Somerset County,” Chibe said. “At the end of this year, we will be able to say that we are proud to support more than 400 full-time employees, and offer hundreds of seasonal jobs here in the state of NJ,” he said. Township officials in attendance included Mayor Phil Kramer, Township Councilman Ted Chase, Township Councilwoman Kimberly Francois, Township Manager Robert Vornlocker, Vince Dominach, the township’s economic development officer. 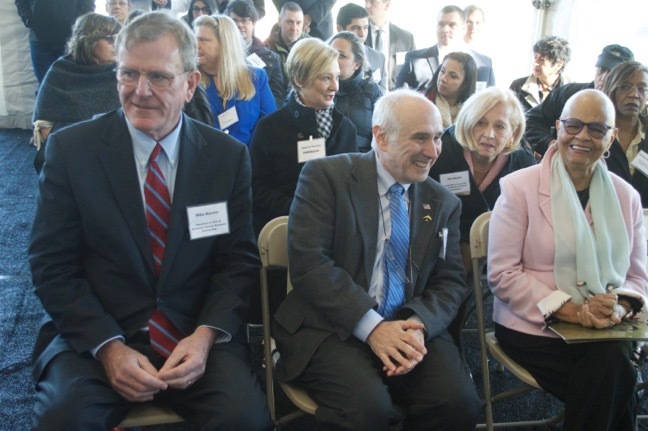 Somerset County was represented by County Freeholders Patricia Walsh and Mark Caliguire and Michael Kerwin, president of the Somerset County Business Partnership.